© SCOTT BERKUN, speaker and author of Mindfire: Big Ideas for Curious Minds. I’ve spent a decade studying how creatives do what they do and it’s simple: they work. Creativity is best thought of as a kind of effort, not an abstract thing – it’s what goes on when you are trying to solve a problem. The problem could be writing a poem, making a song, designing a website, anything. But no creative person in history was creative independent of working on some kind of project. The biggest difference between you and Picasso, or Einstein, or whoever your heroes are is that they out work you. They spend more time in front of a canvas, or guitar, or computer, working away at applying their minds and souls to specific things. Want to be more creative? Pick a problem you care about and get to work. If you don’t care about anything, your problem isn’t creativity, it’s apathy. If you start things and give up, your problem isn’t creativity, it’s dedication. Few people in history that we call creatives today read books or took courses on creativity. Instead they apprenticed with masters in a craft and worked with them. They did the grunt work until they had the skills needed to do more sophisticated work. They learned how to develop ideas and deliver finished work by working. There is no other way. Don’t believe me? Pick any creative hero, and any creative work they’re famous for, and investigate how many sketches, or drafts, or attempts they had to make to get it right. They may have had flashes of insight here and there, but those came while they were working their asses off. Ideas are cheap, it’s the passion to make ideas real that’s rare. Scott is a writer and speaker. His work has appeared in The New York Times, The Washington Post, Forbes, The Wall Street Journal, The Economist, The Guardian, Wired magazine, National Public Radio, The Huffington Post and other media. He has taught at the University of Washington, blogs for Harvard Business and BusinessWeek, and has appeared frequently as an expert on various subjects on CNN, CNBC and MSNBC. 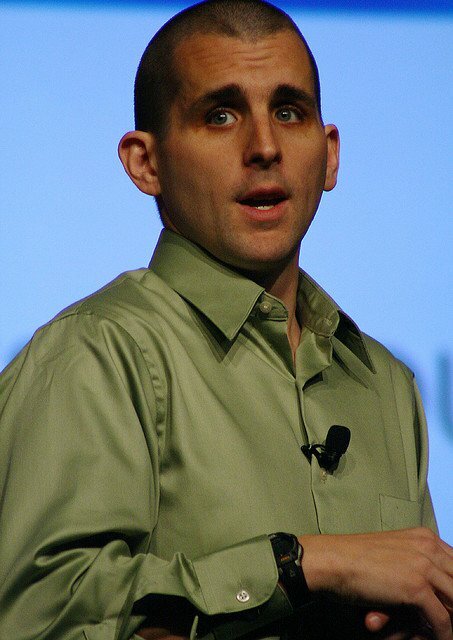 He worked at Microsoft from 1994 to 2003, mostly on Internet Explorer 1.0 to 5.0 (not 6). From 2010 to 2012 Scott worked for Automattic on WordPress.com. He is back to being a full time author and speaker. You can contact him directly or follow on Twitter at @berkun. This entry was posted on November 3, 2012 by Robin Avni in creativity, guest bloggers and tagged creativity, design, Scott Berkun, writing.